Copyright 2019 Shinichi Tohei All rights reserved. A Small Stuckness becomes a Huge Stuckness! As an Uchideshi, I used to perform cleanup every day. As a result, house cleaning became a positive habit for me. If you have the habit to clean your home frequently, your rooms will not get dusty. However, when once you leave a small bit of dust, this dust will catch other dusts and soon the room will get completely dusty. Once a room gets very dusty, you need to put out a great effort, both mentally and physically, to clean it up. It’s always better to cleanup when it is very small. The same thing happens in Ki movement. If you ignore a small “stuckness” in Ki movement, it will become a huge “stuckness” later on. A few years ago, I had a student who lost his motivation day by day and finally his Ki movement became totally stuck. He came to see me for advice. He could not find any reasons for his problem, but he had not been well for two months. I asked him to remember what happened during those days. As a result, he recalled one little thing. He remembered hearing that his junior fellow, whom he trusted, had said some bad things about him. He was afraid to ask his friend directly about this, and so he spent a few days agonizing about it. However, he was very busy, and soon he forgot about it altogether. I thought it could be a trigger of his slump. At the beginning, it was a small stuckness of Ki movement, but since he left it unresolved, it became huge. This is similar to a small bit of dust gathering other dusts, and growing very quickly. The important thing is to clean when it is small. I noted this to him, and soon he talked with the person and found out that it was actually a miscommunication. As a result, he was able to recover. It could have been a real “name-calling” and not a “miscommunication” in his case, but still, since he checked directly with the person, and discovered the real intention, the stuck Ki movement was able to be untied. When we find ourselves “stuck” in our daily life, there must always be a beginning, a cause. For example, think of traffic jams. This normally starts from the braking of only one car. The stuckness of the traffic results from more and more braking, until finally it becomes traffic jam. I know this is not easy, because when Ki is stuck we may not recognize it. Since it often begins from a very small thing, we tend to forget the cause and fall into an unknown slump. This may be one of the biggest themes of our life to deal with. I am working on it every day. This is to introduce the facilities of Ki Society HQ. Ki Society has its branches in 24 countries in the world. In its vast area, there are a variety of facilities including Tenshinkan Dojo with 520 tatami mats, a dining hall and accommodation facilities. 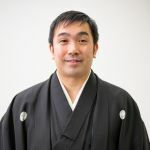 There are many kinds of seminars being held throughout the year, including Shin-Shin-Toitsu-Aikido Dan Promotion Examinations, Taigi Competition. Camps for the members of Ki Society branches, seminars for business people and athletes are also conducted.